Inti Creates is a studio that knows the Mega Man style of game inside and out. After all, not only did they create the Mega Man Zero and Mega Man ZX series, they helped revive Mega Man proper with 9 and 10. It should have been no surprise, then, that when they set out to make their own IP, they made something that served as a cool twist on the Mega Man formula. Azure Striker Gunvolt wasn't just a Mega Man clone — despite the name calling back to the Blue Bomber himself — it was an evolution of that idea of game with all new mechanics. It was a fun time, and they even got the chance to do a sequel. Now that sequel is ready to get some DLC. There's a whole lot of new stuff, so I'll just list all the pieces out for you. New Song — Stratosphere ($0.99). Includes a synth recipe for an item that plays the song Stratosphere by Joule and Lola when 1000+ Kudos are obtained. Additionally, the amount of credits and experience points you earn are increased by 150%. Additional Mission Packs ($1.99 each). These missions are listed as Merak & Carrera, Jota & Elise, and Viper & Stratos. For experienced players, two special missions are added to Score Attack Mode that pit you against boss characters from Azure Striker Gunvolt 1. Two "extremely difficult" missions are also added to the Score Attack Mode. They're implied to really test your skills, and promise something special for those that clear them. Extra Mode — Speedrun Mode ($1.99). Pretty self explanatory. Try to beat the game as fast as you can. No prevasion, synthing, or saving is allowed in this mode. All of this should be available to you on March 9, so if you're itching to get the Azure Striker back into combat, then here's your chance. 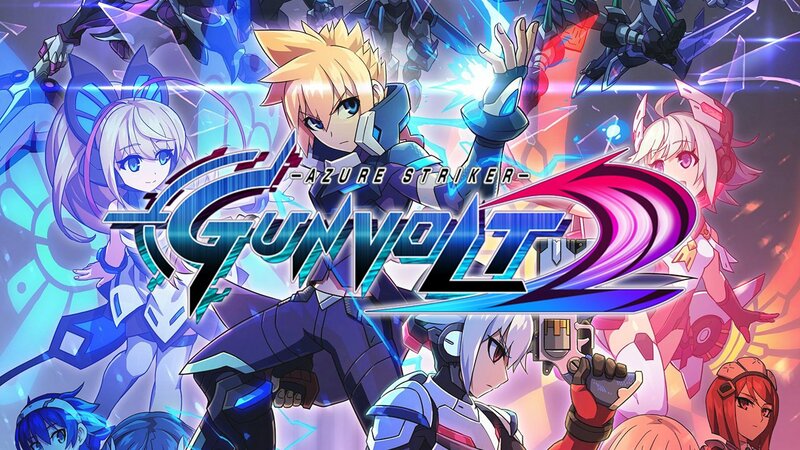 If you haven't tried Azure Striker Gunvolt yet, you can buy either one individually on the eShop or grab a physical bundle that includes both.